On March 19th, 2019, Iroquois County Sheriffs Police arrested Kelly L. McCray, age 42, of Martinton. According to police reports, McCray was charged with aggravated domestic battery. He was transported to the Iroquois County Jail where he posted the required bond and was released. 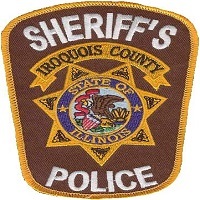 On March 20th , 2019, Iroquois County Sheriffs Police arrested Madison E, LeClair, age 24, of Ashkum. According to police reports, LeC!air was charged with violating an order of protection, She was transported to the Iroquois County Jail where she remains in lieu of bond. On March 21 st, 2019, Sheldon Police arrested Matthew F. Shon, age 44, of Sheldon. According to police reports, Short was wanted on an outstanding Iroquois County warrant charging him with contempt of court. He was transported to the Iroquois County Jail where he remains in lieu of bond.